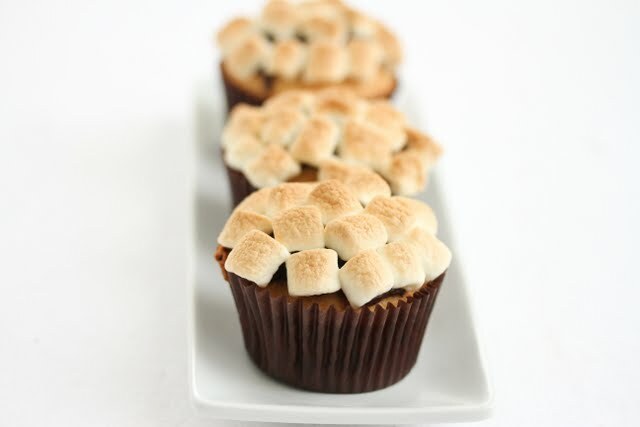 Graham cracker flavored cupcakes, topped with chocolate ganache and toasted mini marshmallows. I’ve been on a serious S’more kick lately. First I made S’mores brownies. 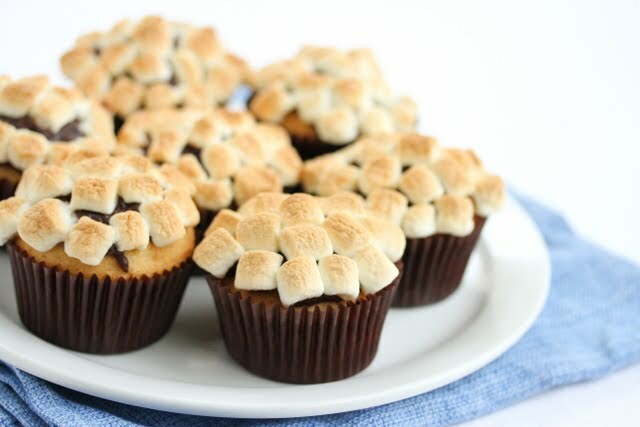 Then I made these S’more cupcakes. Then I went a little crazy and came up with quite a few more S’more recipes which I’ll be sharing, though not all at once because I don’t want to overwhelm anyone. After this weekend though I think I got S’mores out of my system. At least for now. We’ll see how long it lasts. I’m not very fond of regular store-bought marshmallows. There’s this aftertaste that leaves me feeling a little ill after eating a few. But when they are heated up, that aftertaste seems to disappear, and I’m treated to gooey, melted, sticky deliciousness. I’m glad I finally decided to into make S’more themed desserts because trying to get my family to make traditional S’mores over the fire is almost impossible. Apparently, no one else in my family enjoys it. (Insert sad face). I googled S’more cupcake images before deciding on this decoration. I love the look of all the toasted mini marshmallows sitting on top. These were pretty good though I kind of wished for more graham cracker flavor in the cupcakes. 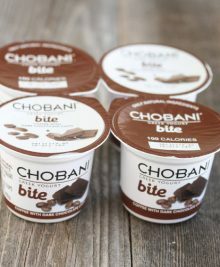 I’m kind of surprised I didn’t taste it more since I put a whole heaping cup of crushed graham crackers into the batter. I was worried the chocolate ganache might melt and make a mess, but it behaved itself and made a great base for keeping the marshmallows on top too. 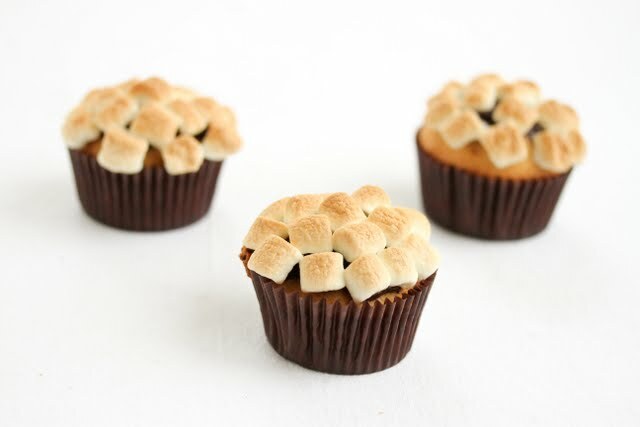 These cupcakes are a fun twist on classic s'mores. Preheat oven to 350°F. Line a muffin tin with cupcake liners. Crush graham crackers in food processor. In a small bowl, combine the flours and ground graham crackers. Set aside. In a large bowl cream the butter and sugar until fluffy. Beat in the eggs and vanilla. Add half of the flour mixture and half of the milk and mix. Add in remaining flour and milk and mix until batter is smooth. Spoon the batter into the cupcake liners, filling them about 2/3 full. 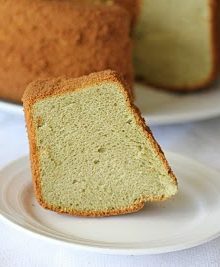 Bake for 20 to 25 minutes, or until tops are golden and a cake tester inserted into the center of the cupcake comes out clean. Cool cupcakes before frosting. While cupcakes cool, make the chocolate ganache. 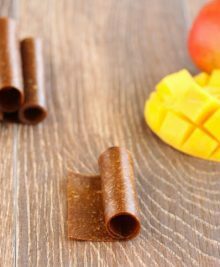 Place chopped chocolate in a bowl. Boil heavy cream and pour on top of chopped chocolate. Whisk until smooth. Brush a thin layer of chocolate ganache on top of each cupcake. 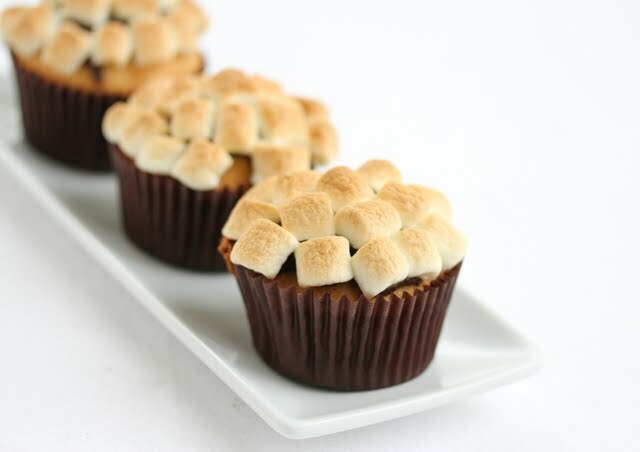 Then place mini marshmallows over top, covering cupcakes. Bake for an additional 5 minutes until marshmallows are toasted. wow I have seen and made s’mores with a graham cracker crust, but graham cracker flavored cake sounds way yummier! Well I didn’t want it to be S’more cupcake just with the top portion. I wanted the whole thing to be S’more like. Plus I have all these graham crackers I need to get rid of.